Powerscourt is located only 12km away from Clayton Hotel Leopardstown and offers spectacular views of Wicklow. The estate is known for its spectacular landscaped gardens occupying a staggering 47 acres. Located in Enniskerry Co. Wicklow, just 12km from the hotel, it is only a 20-minute drive away. Originally a castle in the 13th century, it was altered in the 18th Century by a German architect. In 1974 a fire caused the estate to be in ruins and left what could only be described as a shell. It was renovated in 1996 and has become a popular tourist attraction. It has a superb golfing range, scrumptious dining in the Avoca restaurant, spectacular views of their very own waterfall and for those little adults, Tara’s Palace children’s museum which is in aid of a charity dedicated to helping the children of Ireland. Powerscourt is home to two par 72, 18 hole golf course. With reasonable options and packages available, this is a treat for anyone. It was home to PGA championship in 1998 too! Avoca restaurant is an Irish family run business that is one of the oldest surviving manufactures in the world. It is home to not only spectacular food. It has some of Irelands most loved retail also. It has been ranked by Retail Week Magazine as one of the world’s most inspiring stores. 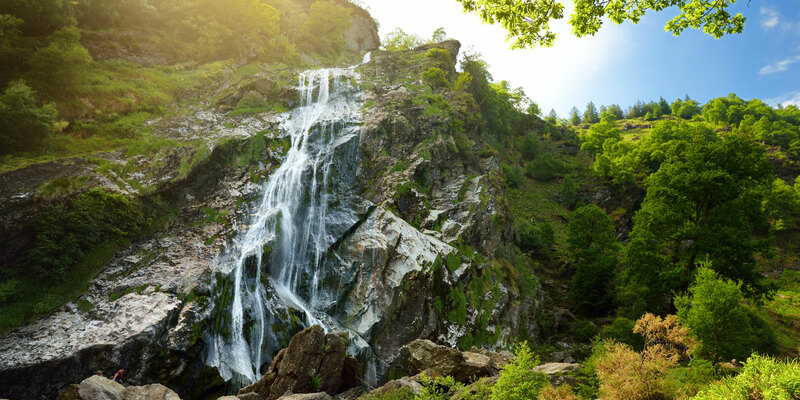 Powerscourt waterfall and surrounding valley are also owned by Powerscourt estate. The waterfall is an impressive 121 metres and the highest waterfall in Ireland. With only a short journey between Clayton Hotel Leopardstown and this fantastic tourist destination, why not choose us and book your stay today! At Clayton Hotel Leopardstown, you can enjoy a sense of space in these light-filled and airy superior rooms, consisting of a luxurious double and single bed and unwind in relaxing surroundings. Or why not push the boat out and try our executive rooms or junior suites, most offering spectacular views of Dublin Bay and the Wicklow Mountains. To book your stay contact our reservations team on +353 1 293 5000 or email the friendly team at reservations.leopardstown@claytonhotels.com. Voted No. 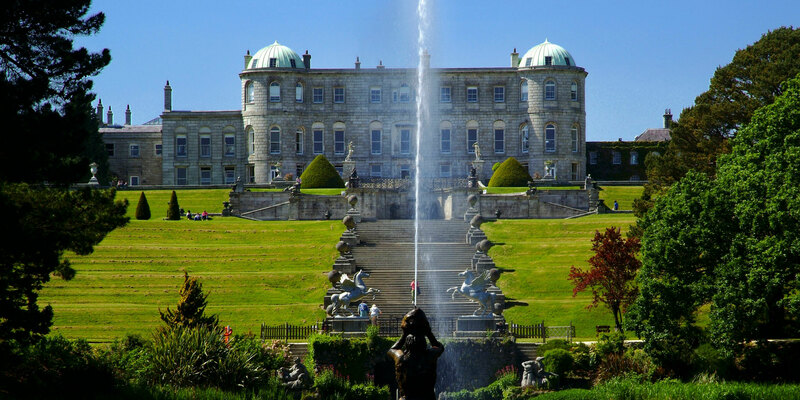 3 Garden in the World by National Geographic – Powerscourt is a must-see tourism attraction in Ireland. What could be more beautiful than the sight of 10,000 Tulips floating in the breeze at Powerscourt Gardens? Well, how about 14,000 Tulips! 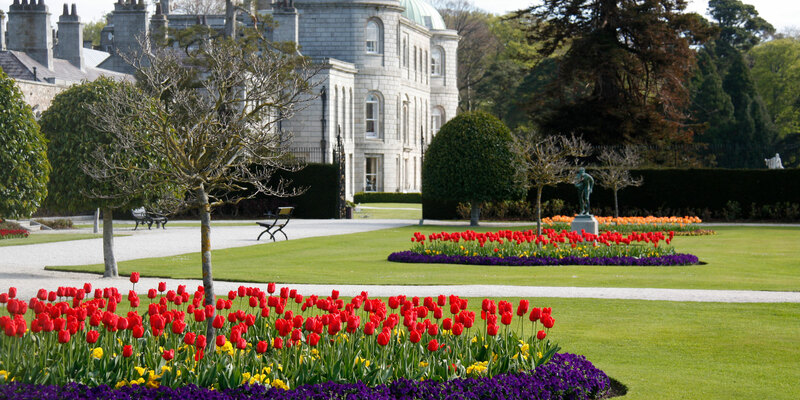 This year, the tulip festival at Powerscourt is back and bigger than ever with an additional 4,000 Tulip bulbs planted. The Head Gardener Alex and his team have been working hard for months; selecting both favourite and unusual tulip varieties, planning layout and colour schemes and of course, planting and tending to the bulbs to ensure a beautiful display for you. Come for a walk through the Gardens and enjoy the Tulips at various points in your visit, particularly in the Walled Garden and along the Herbaceous border. The festival takes place from 19th April until 6th May at Powerscourt Gardens. Located 35 minutes outside Dublin City Centre, Powerscourt Gardens is part of Ireland’s Ancient East. Powerscourt is located only 11km away from Clayton Hotel Leopardstown and offers spectacular views of Wicklow.